Does timber high-rise equal high risk? 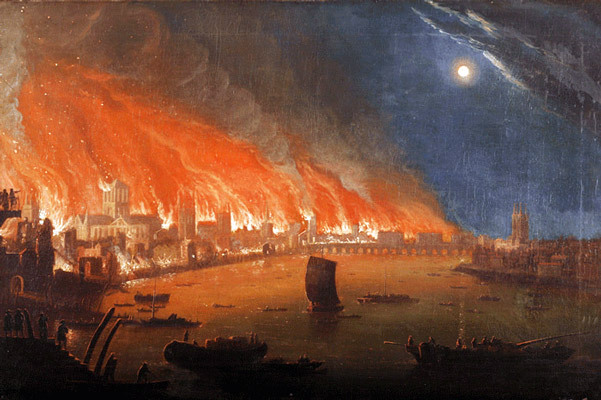 A painting of the Great Fire of London. Now 350 years later, we still see construction above three storeys as risky. Much of our building code has evolved from the Great Fire of London. The fire that wiped out 80 per cent of the city in 1666 led to the London Building Act of 1667 – the first that enabled surveyors to enforce its regulations. It laid down that all houses were to be built in brick or stone, with the number of storeys and width of walls carefully specified. Three-hundred-and-fifty years later, we still see construction above three storeys as risky business. From 1 May, the National Construction Code will introduce a new “deemed-to-satisfy” provision for timber buildings up to 25 metres, or eight storeys high – as long as they include a raft of requirements, such as fire sprinklers and fire-resistant cladding. This has the potential to change the way we build and the shape of our cities. It may spark innovative and entrepreneurial builders, many of them in smaller companies, to look at medium-rise apartments in our middle-ring suburbs – and at prices that the average Australian can afford. Changes to the code will accelerate the use of prefabrication and modular construction – a method that delivers a range of benefits. Timber can be grown, manufactured and cut to size close to site, making for quicker and more cost-effective construction. Economic modelling undertaken by Forest and Wood Products Australia has found the shorter construction times required for wooden buildings can save up to 15 per cent. FWPA also estimates that the new code will provide a $103 million boost to the Australian economy over 10 years through environmental benefits and reduced construction and compliance costs. Timber is around 30 per cent lighter than concrete or steel, potentially cutting crane, scaffolding and foundation costs. At Frasers’ “The Green” in Melbourne’s Parkville, for instance, concrete was used for the lower basement and ground floor, while timber was used for the five storeys. This ensured lower loads on the foundation system, and saved around 25 per cent of built costs per apartment over conventional concrete. The carbon benefits of the BCA’s decision will save even more. In operation, buildings created with engineered timber require significantly less energy to heat and cool – not to mention the carbon sequestering power of the wood itself. In fact, approximately 50 per cent of its dry weight is carbon. By using cross-laminated timber, instead of concrete or steel, Lendlease eliminated around 1450 tonnes of carbon dioxide at Forté, a 10-storey apartment development in Melbourne. This is the equivalent of removing 345 cars from the road for a year. While the benefits stack up, should we be worried about fire and safety risks, illegal logging of forests and watered down construction standards? While timber is indeed a combustible material, in construction it has significant insulating properties and burns in a slow, predictable and measurable way. Researchers in the UK, particularly those working with BRE, the Building Research Establishment, have found fire brigades prefer to enter a burning mass timber building than a steel and concrete one, because the timber building is less likely to collapse and does not release the same hazardous toxins. Researchers have also concluded that thick timber provides superior insulation and can outperform steel, which can buckle and otherwise deform in a fire. Regarding environmental impact – timber is our only truly renewable building material. Wood has almost zero embodied energy because it’s grown with solar power. Engineered wood in particular can be manufactured from fast-growing tree species. A Yale University-led study published in March 2014 estimated that the world’s forests contain about 385 billion cubic metres of wood, with an additional 17 billion cubic metres growing each year. According to Professor Chad Oliver, director of the Global Institute of Sustainable Forestry at Yale, just 3.4 billion cubic metres is harvested annually. “Swapping steel, concrete, or brick for wood and specially engineered wood equivalents would drastically cut global carbon dioxide emissions, fossil fuel consumption and represent a renewable resource – and this can be done without loss of biodiversity or carbon storage capacity,” Professor Oliver says. And what about criticism that it will water down our building code? Ultimately, the change to the BCA brings Australia in line with other countries, and recognises the evolutions in construction and fire-protection technologies since 1666. Italy, the Netherlands, New Zealand, Spain and Sweden all allow timber buildings of up to 20 storeys, while the UK allows 20 provided it includes sprinkler systems. Other countries ahead of the game include Iceland, France, the US, Finland and Switzerland. 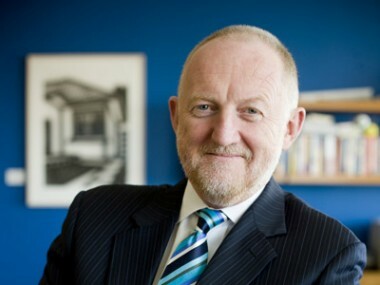 Will the Australian Building Code Board’s decision disrupt our business-as-usual thinking around construction? It will certainly encourage Australia’s construction industry to start thinking outside the box. Tony Arnel is global director of sustainability at Norman Disney & Young. I must say, its great to read some of these responses. It shows the scare tactics some people will use to block innovation. The US concrete industry has just announced a multi million dollar marketing campaign to try to claw back market share from timber in high rise buildings. Third party, sustainability certification will take care of all your illegal logging worries. This is what the environment, local building industry and economy have been waiting for. Shame on you if you put your economic agenda ahead of the rest of us. The section about ‘fire brigades preferring to enter a mass timber building’ is pretty much identical to what I remember the timber industry telling me as a student in the 1970s, and I doubt it is from the BRE. Burning timber gives off lots of gases toxic enough to kill you long before the fire does. If you look at the articles above, it’s the structure that’s burning, which isn’t great. Essentially I think there’s a lot of enthusiasm and no actual experience of real fires so far, apart from the Colindale case, to temper the rush to build high in wood. If you’ll excuse the pun, I wouldn’t like to be responsible for a wooden high rise just yet. Certainly there haven’t been many in the UK since Colindale. Tony has given us an important snapshot of changes happening in the building industry and the potential future role of ‘sustainable’ timber. The debate rightly needs to focus on our forest management policy and how we can utilise the renewable resource with a higher level of community understanding of the issues. One hell of a lot of education is going to be necessary and the traditional battle camps need to improve communication. There are signs that this is happening and it is potentially a great opportunity for Victoria. Thanks for putting the background case Tony. Has the research been undertaken on the demand that a ten-twentyfold increase of timber use might have on plantation and old growth stands? Good idea for high-rise, but is it really sustainable as weather condition become more unpredictable, Timber is still not a infinite resource and having worked in logging and the construction industry, the tonnage of usable tree used, compared with the footprint of stands removed, triggers a warning that reliable calculations need to be undertaken to prove that timber is really sustainable and ready for the mass influx of timber use in high rise. Or are you just trying to find ways to increase demand of timber use? While I like the inovation now occuring around building high-rise with timber, I disagree with the assertion that “In operation, buildings created with engineered timber require significantly less energy to heat and cool. In general, I find some internal mass , eg in the form of a concrete slab, generally result in lower heating and cooling loads in residential buildings. Also, I would like to know if any toxic fumes produced when the glue in timber laminates burn?